Matcha powder is added to a fluffy cream cheese frosting and swirled over the top of moist chocolate cupcakes. It’s as pretty and delicious as a cupcake gets! February gets the short end of the stick. No pun intended. Here it is not even half way over and I’m already swamped. When this posts tomorrow I’ll have already been awake and active for three hours and hopefully safely on my trip to the giant state of Texas. It’s a business trip and I am both excited to go and miserable to leave (something that my BF is having a hard time understanding). Not cuddling with my cats for four whole days! (I know there are people who don’t get to see their kittens for much longer, but let me have my melodrama, people!). Now on to the fun stuff! A giveaway! Today we have an awesome giveaway from the generous and oh so kawaii* Tasty Peach Studios. update: The giveaway originally published and promoted with this post has ended. Tasty Peach makes adorable charms, jewelry, totes and more! I found Tasty Peach Studios through the magic of the internet and have loved the pieces I have from them. I get so many compliments and questions about my cupcake necklace when I wear it! Not to mention – its a cupcake! I was so thrilled when I received my first package because the charms weren’t teeny tiny but actually a nice size and made to withstand every day wear. I actually ordered more the next day because I was so hooked! These are my fun cute pieces I were out and about. And an adorable handmade resin donut charm! Please go check out her Artfire shop and send her some love on Facebook for these wonderful prizes! 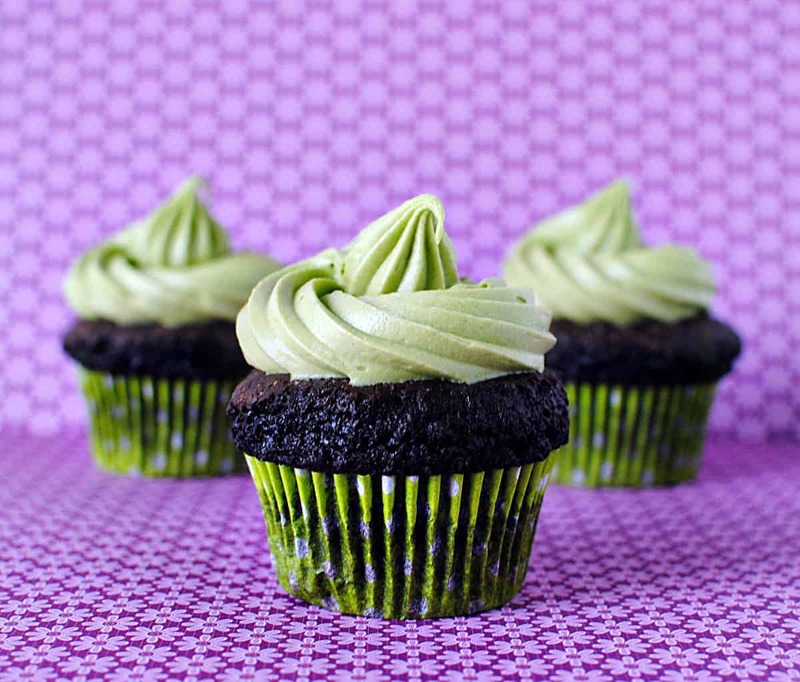 Keeping with the theme I made these awesome matcha topped chocolate cupcakes! See, cupcakes, cute! Wink wink, get it? *What language are you speaking?! Matcha is a powdered green tea from Japan. Kawaii is the Japanese word for cute. See? I was sticking to a theme here! Bring cheese and butter to room temperature. Beat butter and cheese at medium speed until creamy and smooth. Add half of the powdered sugar, 1 tablespoon of green tea powder, and the vanilla. Beat until combined. Gradually add remaining sugar (more if you have to) until you get to the consistency and sweetness you like. Add more green tea powder if you’d like a stronger matcha taste. 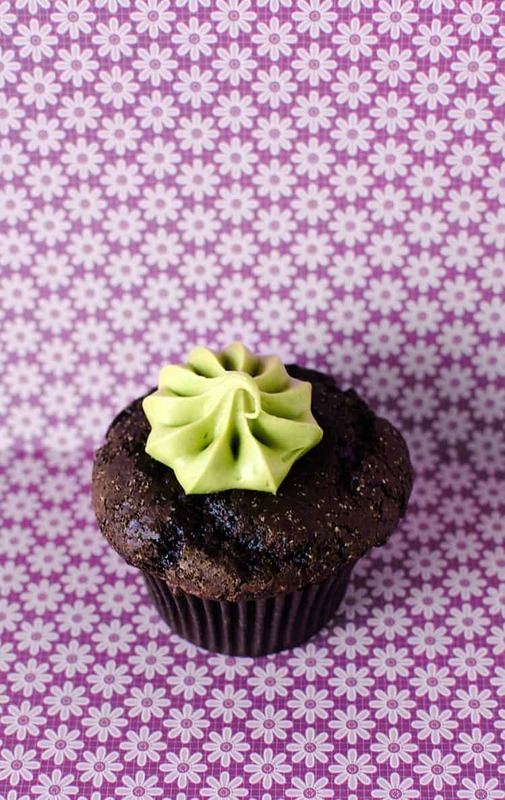 I used a basic chocolate cupcake from Martha Stewart’s Cupcakes because I really didn’t know what would go with matcha. I refrigerated my icing for about an hour to get a better flow when I was decorating the cupcakes. I used the Giant Star Pastry tip from Bake it Pretty. So, how do you win this awesome swag? Leave a comment here telling me what piece you like the best from the Tasty Peach Studios site. Please, if you already follow me on twitter or facebook let me know in your comment. Entries accepted through February 14, 2011 at Midnight EST. Winner will be announced on 2/16/11. I hope I win! I love their necklaces. Those are the pieces I would wear the most. I already subscribe to your rss read! How cute are those cupcakes! You did an incredible job with the piping, it’s perfect. I went to the site and oh my goodness I love everything. 🙂 I like the rainbow clouds necklace the best! 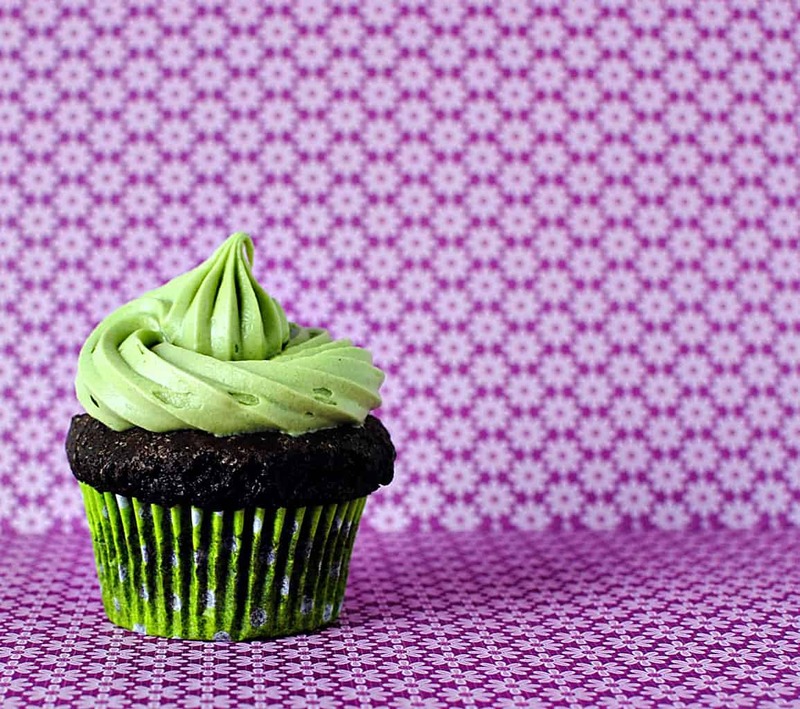 The cupcakes are gorgeous, love the green color and your icing is so pretty! Her designs are so cute, I love the grumpy black sheep charm, too funny! WOW on these cupcakes. I wish I had my favorite macha powder right now. I have a wicked sweet tooth today! How CUTE are those? I think the Happy Panda adjustable acrylic ring is my fave on the Tasty Peach site. Those cupcakes are calling my name. Your cupcakes are just too cute! I love the matcha green icing… it’s such a springy colour (which I desperately need right now because it’s bloody cold and wintery outside). 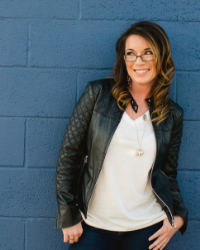 PS – I’m now following you on Twitter! Kita, your cupcakes are godgeous! Awesome photos! Ok, I’m gonna have to give Matcha a try. #1 it’s such a fun color, and #2 you make it look so yummy!! Your cupcakes are super cute and I love the background in your photos. I love love LOVE the Cute Black Sheep Tee!! Awww, I LOVE the Kawaii Cute Blue Bear Choco­late Cup­cake Acrylic Neck­lace! Love those photos! The matcha looks amazing! I’m in love with the background in your images! The cupcakes look pretty delicious as well! Safe travels! ooooo Matcha! I gotta ask, where do you buy yours? I’m having a hard time finding it locally for a reasonable price. I now Follow your site and Tasty Peach on Facebook and my favorite piece is Cute Red Ramen Kitty Tee, soooo cute! Sadly, I wish I had a better answer for you, but a friend of mine works in NYC and sent it to me. 🙁 There are some small local Asian markets that may carry them around here so if you have one of those in your area that’s where I would try. These cupcakes are definitely too cute! Love that bright green frosting! I think that necklace is the cutest little thing! I think the gentleman friend should absolutely get Kita that tote bag. Think of all the delicious food and baked goods you’d get in return! These cupcakes look incredibly delicious and I would definitely love to try one or two or 10. I am following Pass the Sushi on twitter and tweeted about the giveaway. I’ve also subscribed to the RSS feed and have an email subscription. I’m also following both Pass the Sushi and Tasty Peach on facebook. P.S. Amazing photography!! Love the composition and vibrant colors in all your photography. Who would have thought food could be so photogenic? Estefania, if I were the random generator for this you’d win hands down! I follow you on Facebook and Twitter and I’m following tasty peach now, too. I would have to say my favorite items are the Cute Red Bento Octopus ring and the Cute Red Mushroom items. Those mushrooms are the only ones I like. OMG I’m in love with those cupcakes 🙂 now I really need to get some matcha… yum! those are gorgeous cupcakes!! I would love a box of those as a giveaway!! Follow you on Facebook, and an e-mail subscriber, passthesushi is my secret guilty pleasure. The ring would be my favorite, think my girlfriend would like that one the best. I love Matcha! Love to see what people do with it. I also really dig acrylic necklaces and would love one with a cute cupcake on it! Following you on Twitter now. 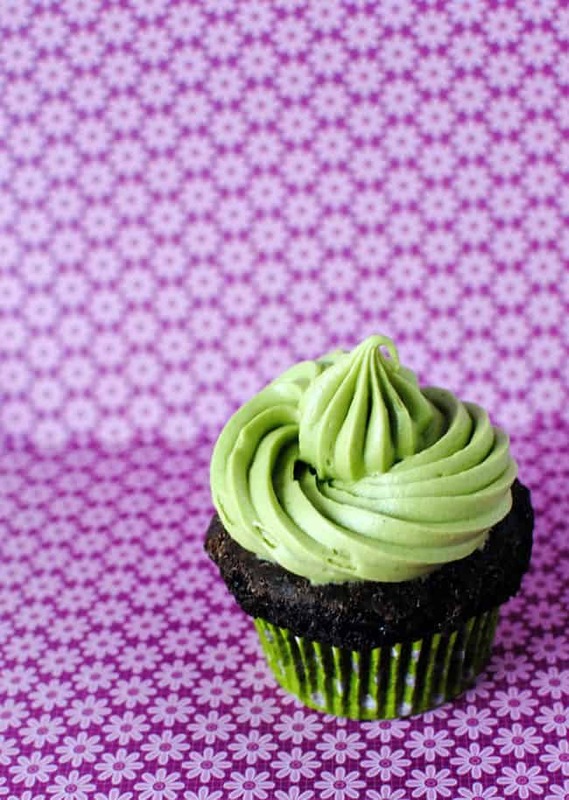 We have a tea business and we offer cooking grade matcha if anyone is looking for it to make some of these cupcakes, just click on my name.